Simone Manuel Medals in Rio Olympics Again and Again! Simone Manuel will go home with a whopping four medals after swimming her way into history at the 2016 Olympics in Rio. 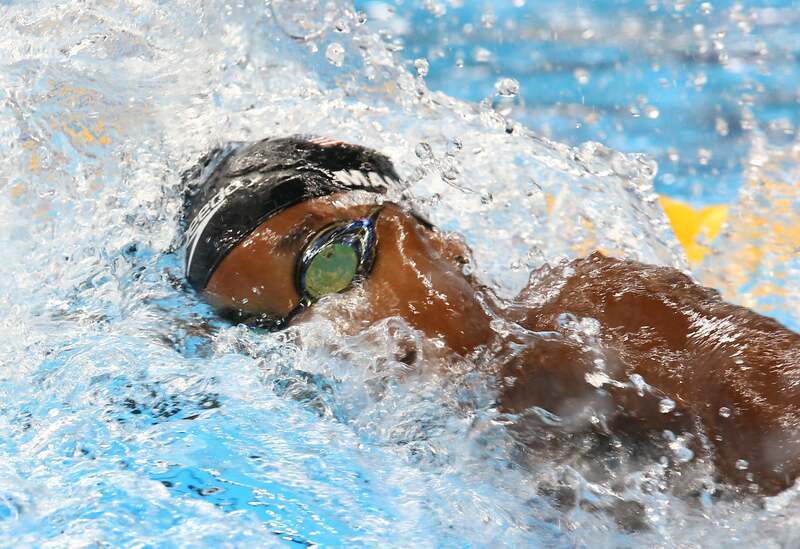 Olympic swimmer Simone Manuel has done it again! After becoming the first Black woman to take home the gold in an individual swim event, Simone decided to give fans world wide a bit of shock and awe as she also became the first American woman to place in the top two in two different individual swim events and we love it! Then, Swimone went out to help the women’s swim team earn another “W” in the 4×100 medley relay as well as a silver medal in the 4×100 meter freestyle relay, giving her four Olympic medals in one sweep. According to TeamUSA.org, “no U.S. woman had ever finished top-two in both freestyle sprint races before.” Talk about a little #BlackGirlMagic on board. Not only is Manuel making waves for the Black community, she’s making wave for her country – not bad for a young girl from Texas who just celebrated her 20th birthday! When God got you, you can't lose. Beyond blessed and grateful to have represented my country in the best way I know how. I have gone through ups and downs, highs and lows, but I have completely enjoyed this journey. Nothing worth having comes easy, and God never puts more on you than you can bear. Thanks to many for all the support!